I have tested two different 50mm lenses in my camera. One was a Nikkor 50mm ∅52mm. The other one was a Sigma 50mm ∅72mm. I took some pictures with both lenses using the same setup for aperture and shutter speed, but couldn't notice significant differences in the quality of the pictures. So, how does the diameter affects the photo quality, if it does? What advantages would the ∅72mm lens have over the ∅52mm one? It's not just about maximum aperture. Even in two lenses with the same focal length and max aperture, one could have a larger diameter. The larger diameter could be because of using larger lens elements, which could have advantages with regard to sharpness and light falloff at the edges of the image circle. Some lenses may even project a larger image circle than is strictly necessary. These difference would likely be more apparent at larger apertures (especially wide-open), if they are there at all. Having said that you can't automatically assume the "larger" lens will always be better optically. The diameter you're seeing is for the filter threads; it's unrelated to image quality. If anything, there are disadvantages to a larger thread diameter (assuming the other specifications are similar): they tend to be heavier, bulkier, and filters to fit them are substantially more expensive. 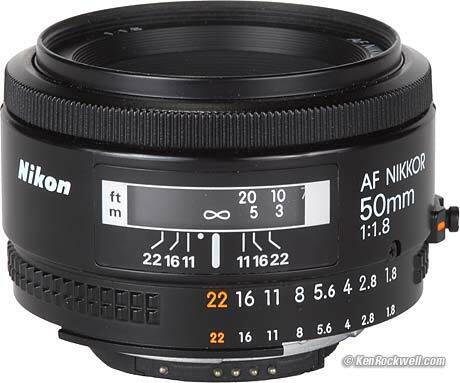 If you are concerned about image quality and handling, you should be looking at specifications like the maximum aperture, something like an MTF chart, sample photos from the lenses, or other reviews. From what I've read on the Sigma, the larger opening diameter means less vignetting wide open. I haven't observed this first-hand as I don't have either lens. If you're shooting a crop digital body, this is moot as you're not going to get the corners where vignetting is visible. The focal length and aperture of the lens are all that really matter in this context. In both cases, the focal length is 50mm and the aperture is f/1.4 which means that the opening that is allowing the light through is approximately 36mm wide. This is true no matter how large the lens barrel is and so the lenses will collect the same amount of light given equal scenes with the same shutter speed and ISO. Prime lenses are usually sharper than zooms (not so relevant in this case). Less glass usually means sharper as more glass usually means more correction needed and that degrades the image quality. Whether you can reasonably perceive this or not in everyday shooting is another discussion. Faster lenses (e.g. the f/1.4 vs f/2.0) usually means better quality and sharper earlier. Most lenses will sharpen up when stopped down from maximum aperture by a few stops, so when you start from a much faster lens, you can get sharper images with more light. Number of blades, and their shape, for their aperture. More, and rounded, blades give a more circular appearance which helps with improved bokeh (out of focus appearance of highlights... does it look like a circle or a stop sign?). So, these are a few factors to consider. Of course, when weighing the difference, price must also be considered and that means, get the best all around value for the dollar. The larger front element doesn't translate directly to a faster aperture -- since they're both rated at f/1.4, they theoretically collect the same amount of light. At least in most tests I've seen, it appears that the Sigma does vignette less than the Nikon though. It also retains relatively round out-of-focus highlights toward the edge of the frame, where most of the competitors start to get fairly elliptical toward the edges. The real question seems to be quality control. When DPReview tested it, they found it distinctly better than either the Nikon or Canon counterparts. When Photozone.de tested it, they found quite poor resolution, especially toward the edges. This could be a problem in testing. It's also possible that photozone.de simply got one after it had been dropped, or otherwise abused (test lenses often get passed around from one tester to another, and some may not be as careful as they should be). I have taken a few shots with one, and found it quite impressive -- but I have no idea whether that's typical, or my friend just happened to get a particularly good copy. None of the pictures I took would really qualify as serious stress testing either, so while it did well, under the same circumstances, I'd be a bit surprised at anything doing particularly badly. Most answers given above is great. Also, I'd like to point out one reason not being mentioned -- sensor (or film) size. Nikon DX lenses (for instance) are designed for their 1.5x crop dSLR's, so basically, when you mount one of those on one of their full-frame dSLR's, you will get vignetting in the edges/corners. The size of the image circle being cast by the lens is probably somehow related to the actual lens barrel diameter; i.e. DX or EF-S lenses can be built with a thinner lens barrel because they don't need to cast the same image cone onto the film or sensor. Essentially a larger diameter allows the lens to be designed with a larger maximum aperture. 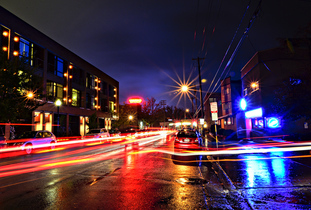 More light means shorter shutter speed which means less motion blur when holding the camera directly, IS or not. The benefit of a large aperture is that you will be able to bring down the ISO sensitivity to reduce noise when shutter speed isn't a priority. Focal length and aperture do effect image quality, but they're hardly the only things! The ability of the lens to transmit light is measured as MTF (modulation transfer function) which is basically a way to measure how much light is lost in passing through the lens. Some lenses are fairly poor at this, others are incredibly good, but none pass all the light. This ability will be a very large factor in image quality. Telephoto lenses tend to have less variation in sharpness across the aperture range versus wide angle lenses. A big part will be the narrowed field of view, there's simply less "stuff" in the frame. However, telephotos will have less depth of field, so things in front or behind the subject may not be in focus. This, by the way, is often desirable as it makes the main subject 'pop' in the image. Prime lenses will typically be sharper versus zoom lenses at the same focal length, this is a function of simpler optics as they have less glass which usually translates to less loss of light. Though there are some very impressive zooms that approach prime lens capability, including some Nikkor lenses. Professional grade lenses will typically be sharper versus consumer grade lenses because of the quality of the materials being used. Pro lenses will usually have better quality optical elements, leading to less light loss, and better coatings to help reduce flare and other stray light annoyances. You pay a price at the cash register, however, for that! Your lenses aren't variant in their focal lengths and if their optical qualities aren't too divergent, you may not see any real difference because you have the same aperture. Bearing in mind, of course, you're probably reviewing them resized to screen and that will sharpen. However, don't fall into the pixel peeping trap, 100% on your monitor isn't a reasonable comparison to print. Generally a wider lens diameter just allows for a greater maximum aperture. The only other effect is that a larger diameter could help reduce vignetting. Having delved into telescopes, where optics are paramount, it is said by those in the know that diameter is everything. A lens' light gathering ability increases by the square of the diameter, and resolution is also increased. From a pure optics perspective, lens diameter is crucial. Larger diameter accounts for larger light "intake", and with more light ending up on the sensor, you can make the same image quality with shorter exposure. If the aperture of both lenses is relative to the diameter of each lens then the determing factor of which lens lets more light get to the sensor would be its length. If both lens are the same focal length and the smaller lens is 30% smaller in diameter, as well as 30% shorter in length, than all things being equal they will pass the same amount of light to the sensor. But if the 30% smaller lens were only say 10% shorter, than the larger lens would pass more light. The key statement here is (all things being equal) Which isn't likely to be the case. As pointed out by a previous answer about taking into account the materials used to build the lens. The only real and major difference is the amount of light that is let in. Larger front element is going to let in so much more light. I dont know why people never talk about this or know about this. Think about it like fixed focal length lenses. Put a 35 mm lens on your camera and get the exposure correct. Now dont change those setting and put on a 50mm or 85mm where the opening corresponds with the mm size. Your light meter will show an increase in brightness. As much as everyone runs there mouth about fixed focal and not getting a minor zoom lens are kinda numb. With my 24-85mm aspherical lens that has a 72mm opening is going to allow in so much more light even when I set it to 35mm. Therefore eliminating sacrificing picture quality in lower level light situations. Not the answer you're looking for? Browse other questions tagged lens optics image-quality filter-diameter or ask your own question. Why do lenses have different diameters? Is the difference between a good 50mm vs 85mm lens just your distance from the subject? Does the higher price lens always reflect better quality regardless of it being 3rd party or not? Why is the price between these two lens differ so much?